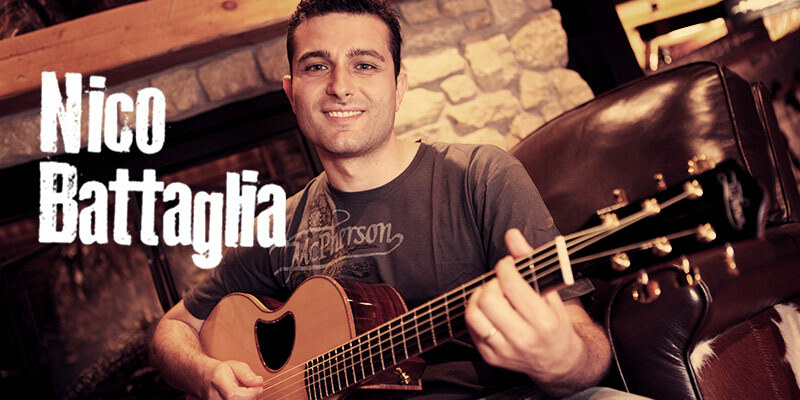 Growing up in Trani, Italy, Nico Battaglia cultivated his musical talents from a very young age, leading to lots of work as a guitarist and vocalist with many Christian artists from Italy and other countries. His passion for God led him to serve at his local church, writing songs and leading praise and worship. Since 2007, Nico has toured throughout Europe, Africa, South America and Israel, expressing God’s love through his music. Nico is an artist representative of Compassion International, the Christian child-sponsorship ministry. He also serves as one of the general directors of “Generazione Scelta,” a well-known youth movement, and for many years has been involved with “Adolescenti d’Oggi,” a Christian association providing activities and programs for teenagers throughout Italy, and he is an endorsing artist for acoustic guitar maker McPherson Guitars. Nico’s concept music video of “The Salvation Poem” makes a powerful statement about the idols that stand between us and God, and the power of Jesus Christ to save us from ourselves!